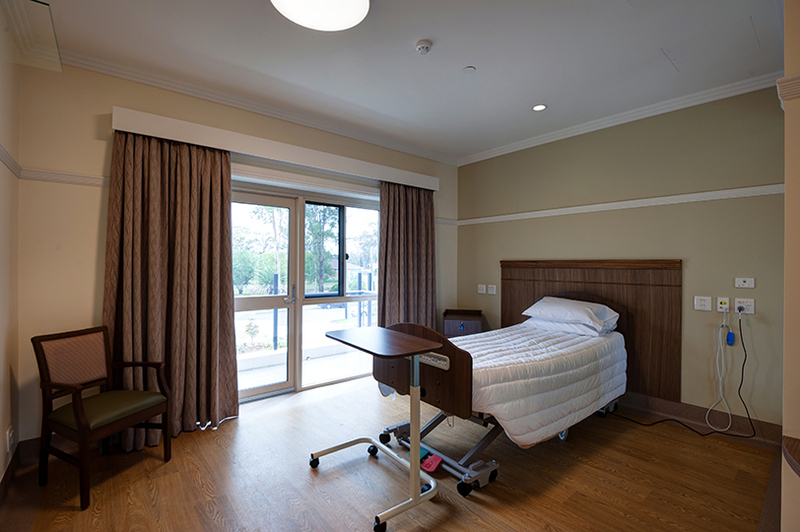 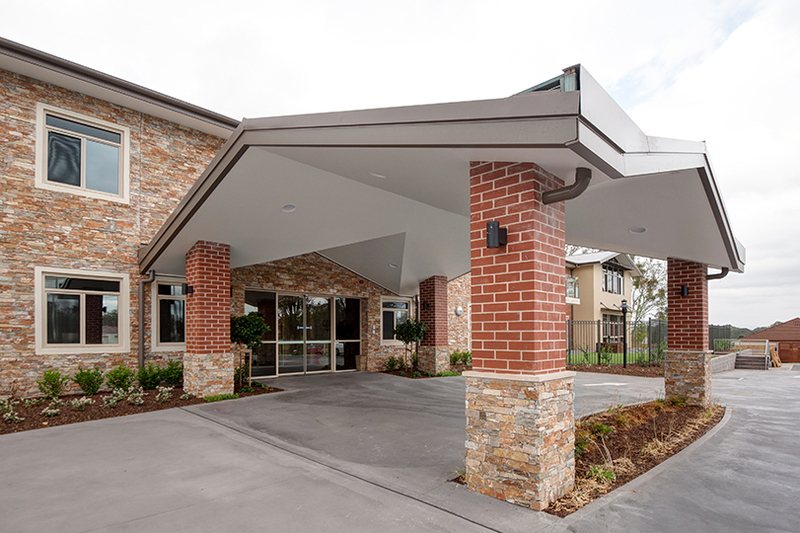 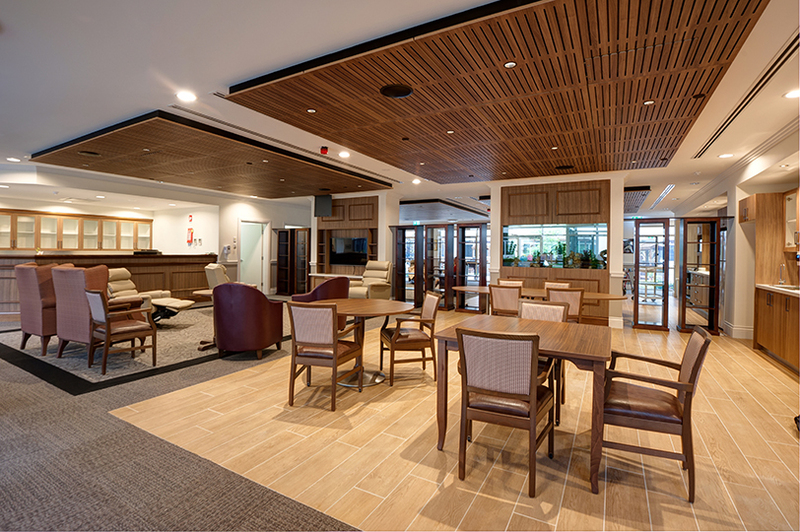 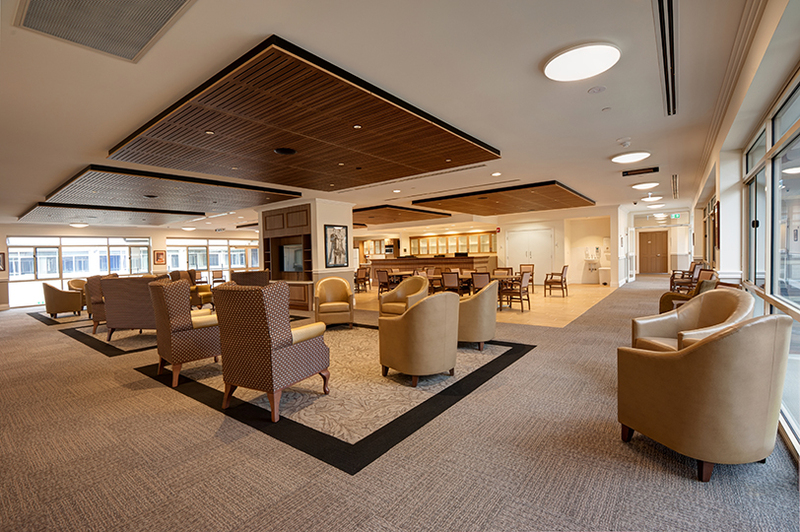 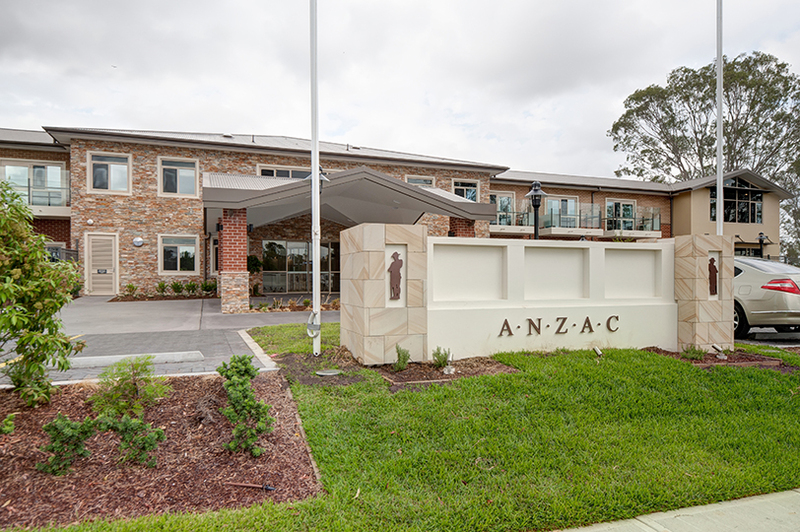 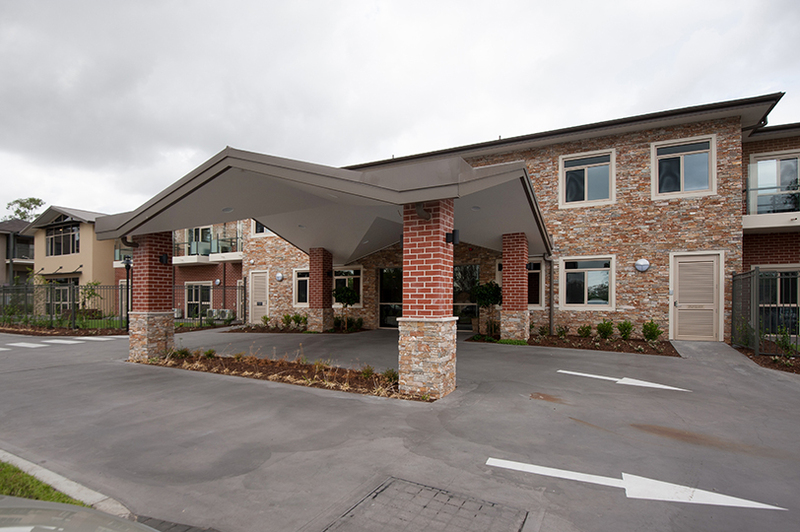 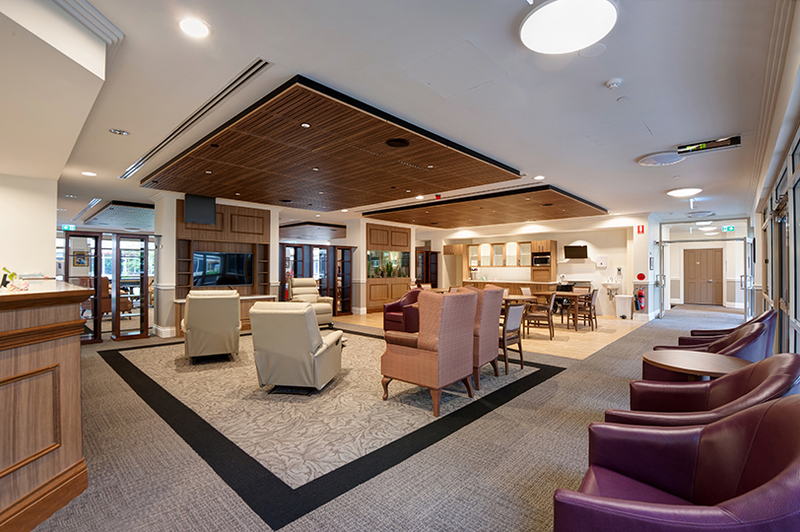 Grindley Interiors were engaged by RSL Lifecare to complete the construction of a two storey residential aged care facility located in Austral. 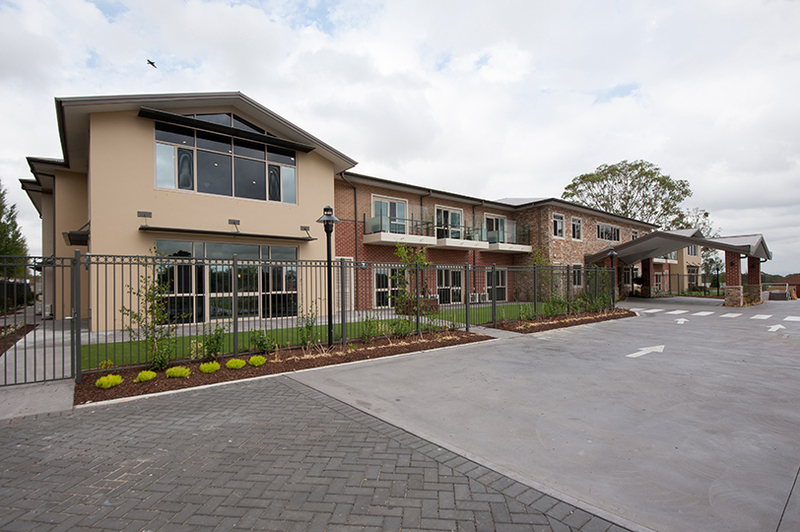 Our scope included the completion of external hard and soft landscaped areas such as driveways, exterior tiling, sun shades, handrails to stairs, bin bay metalwork, feature stone walls, external painting, footpaths, paving, fencing, garden beds and drainage. 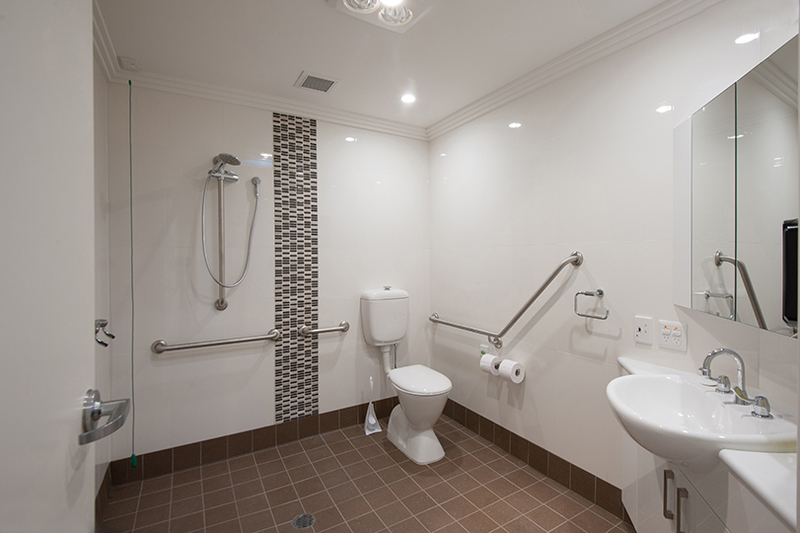 All existing finishes trades were re-engaged to commence completion of the works. 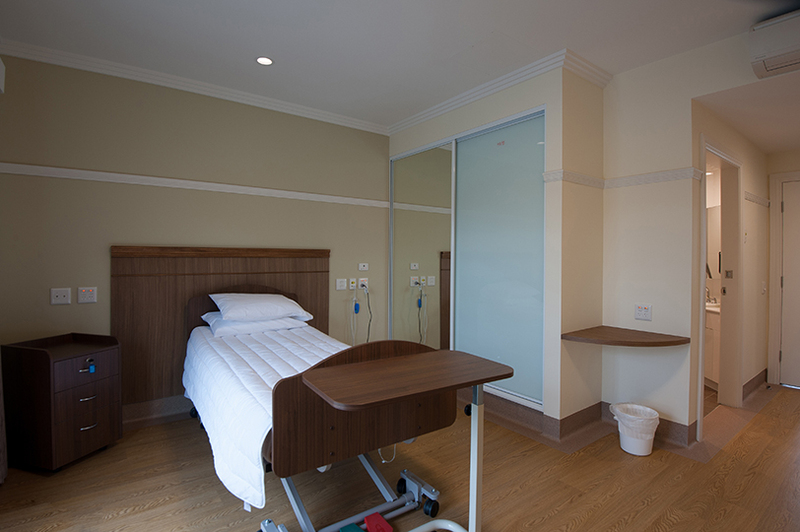 A large extent of the internal works involved engaging a fire stopping contractor to assess the entire project and seal wall and ceiling junctions and fire rate existing penetrations to ensure compliance. 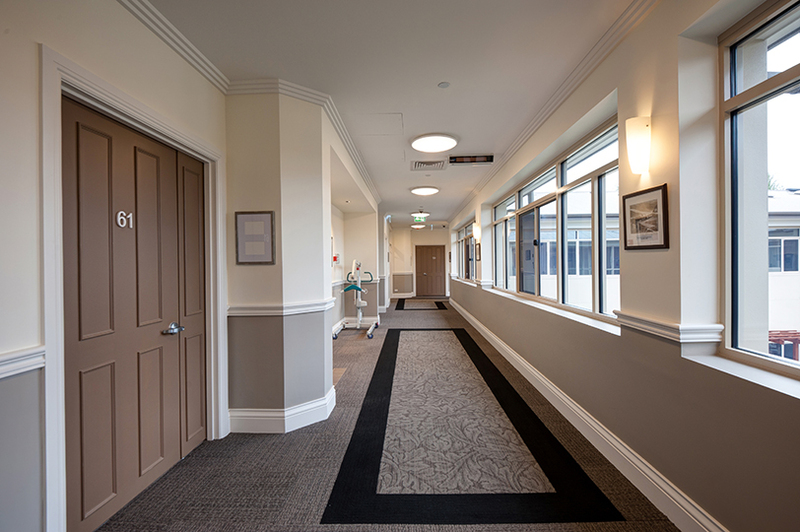 Other internal works included final painting, ground level floor finishes, installing outstanding doors and hardware, reconstruction of two non-compliant fire stairs, Dorma operable walls, security screening, joinery and the balance of the services trades and final commissioning. 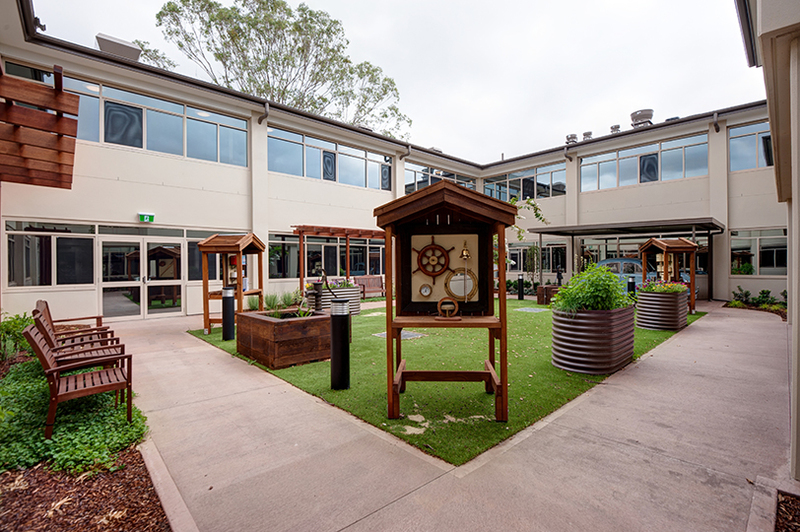 The facility also contains two internal courtyards where new plumbing was installed and the area soft landscaped with Astro-Turf and plants. 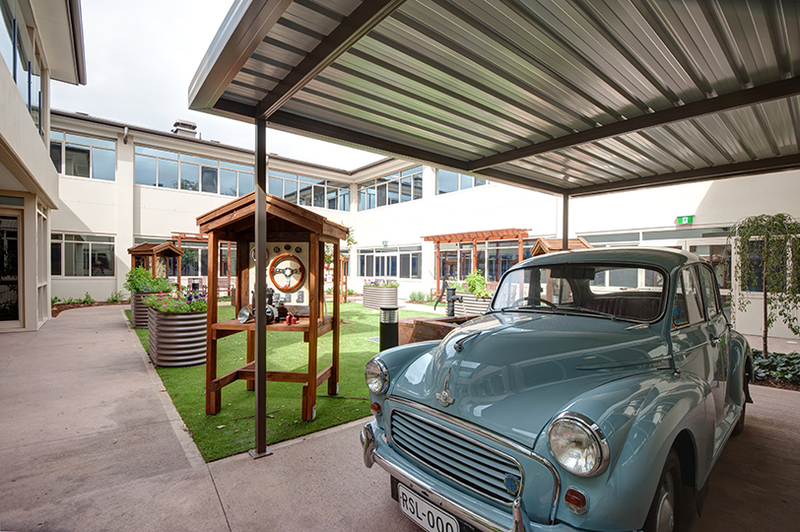 A restored car was craned into position giving residents the novelty of working on a vehicle.